The Sennheiser HD600 hardly need to be introduced. They are probably the most famous headphones released in the past 20 years. Following the Sennheiser HD560 Ovation, the German brand released the HD580 in 1993, which has formed the basis for all open-back models coming out after, including HD580 Jubilee (1995), HD600 (1997), HD650 (2003), HD6XX (2016) and HD660S (2017). The HD600 are state-of-the-art headphones with high sound quality and remarkable value, among most of the offerings in today’s time. Some will find their appearance dated and reminiscent of the nineties because of the blue « marble effect » covering the plastic, but I actually find them pretty. To be honest, aesthetics is generally not a priority for me as far as headphones are concerned. However, some people like owning nice-looking gear and I totally understand them. The Sennheiser HD600 are mostly made of plastic, but it has a high-quality plastic feel that is more premium in the hands than that of the competitors, such as the AKG K701 or the Beyerdynamic DT880. The construction is very solid, especially the metal articulation between the headband assembly and the ear cups. The driver’s enclosures are protected by external grills, which can be easily twisted if some pressure is applied; hopefully, they are removable and repairable. The ear pads are made of high-quality velour, but they will definitely wear out after some years of intense use. The stock cables are, however, a bit too cheap for a $300 pair. The connectors are too thin and fragile, and can quickly become defective. The Sennheiser HD650 comes with a more robust cable. Like all Sennheiser headphones in the HD580/600/650 line, all cables are compatible. One of the strongest points of this model is its durability. Each part is replaceable and can be easily found online. The HD600 are made of simple elements and can last longer. The drivers are very reliable as well. The oldest pairs are now around 20 years in age and still work perfectly. My own HD600 is an early version from 2001 and I never had to replace anything, except the ear pads (twice) and the cables (I bought the cables from the HD650 as they are thicker and more reliable). Here is a fruitful article about the different variants of HD600/HD650. Older models of HD600/HD650 have a black dampening foam covering the driver (visible behind the external grills), whereas newer models have a grey cover. I wasn’t able to find the exact date of this change of color and material, but it was probably made somewhere between 2007-2009. This picture illustrates it well. I rank the HD600 as the summit of comfort among over-ear headphones, with just a few other models such as the DT880 or K501. Simply put, I can wear them without break. I struggle to find cozier ear pads than the HD600. The oval shape fits well on most ears and the inner foam is very plush (around 2.5 mm). With very large ears, the non-round shape would be a bit tighter. The velour is a delight for very long sessions, and even more during summer. 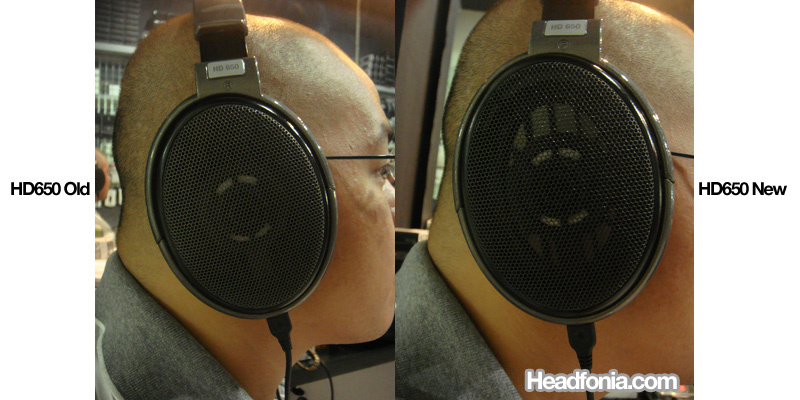 At 270g, they are on the lighter side of open over-ear headphones, which usually weigh around 300 to 400g. The lightweight is nicely distributed through all the construction, with a sturdy headband and its 4 four pieces of very thick foam (1.5 cm). With the passage of years, this foam will lose its thickness and sponginess, and will eventually require replacement. The Sennheiser HD600 has one of the most natural and transparent presentations I have ever heard during my audio journey! They have an ability to sound effortless, even while keeping a very balanced tone. I find the HD600 to be very close to neutral, with a coherence from the bass up to the treble. There is a light, but still present midbass bump around 100 Hz followed by a progressive roll off below 80 Hz. Modern music that has been recorded with emphasis on the bass will sound fine with the HD600; however, on most other tracks they will definitely sound bass-light or at least slightly under average in terms of bass quality as compared to recent headphones. Going back to the year of their release (1997), they definitely offered a nice impact compared to the competition at that time. AKG K501 or Sony CD3000 don’t carry the same midbass weight. The quality of the bass is decent: the distortion is barely audible, but sometimes the midbass and upper bass light boosts leave an impression of muddiness in contrast to the clean linear bass of a planar pair. The midrange is very engaging and slightly forward. Every time I switch to the HD600 after having spent time with another pair, I am immediately enamored by their character and tonality. However, with time I have started to less appreciate some genres with high density in the upper-mids region (and lower-treble) – around 3-5 kHz. The HD600 can be a bit piercing and too elevated in that region. Vocals and string instruments are very nice, and the upper-midrange emphasis is compensated by a small lower-midrange emphasis around 100-400hz. The mids sound full with not the single tone fault, and without any graininess. HD600’s highs are excellent; well calibrated and devoid of sibilances. They extend very far. The “Sennheiser veil” is definitely a myth nowadays (although I could understand people who could find the HD650 a bit veiled since they have reduced highs). The lower-treble is definitely smooth for the health of our ears, even as they have enough energy, above 9 kHz, to prevent them from sounding too muted or lacking air. The Sennheiser HD600 have a correct soundstage and detail retrieval is one of the best I have heard from a sub-300€ pair of headphones when well-amped. The presentation is very engaging and somehow frontal as well as open. Still, I would not call them laid-back sounding. However, on very mid-centric music, their qualities and presence in the mids may make them sound a bit mist over. Given their 300 Ohm impedance, they scale well with higher-end amplification and especially OTL amplifiers, such as the Bottlehead Crack. When plugged into a smartphone, the bass will be very loose and the dynamics more compressed than usual, making them sound a bit dull. The AKG is a bit more analytical with less musical charm, but a much wider and open presentation. The bass impact is slightly lean and there is definitely too much lower-treble for me to appreciate them over time. The K712 are solid mid-fi headphones with a decent sound tone. They offer a more technical bass (a bit more punch and better extension) while sounding more open and with extra treble. I have never been a fan of their midrange; it sometimes sounds artificial and also lacks natural quality. The AD900X sound very open and airy, but lack bass impact and the midrange always sounded weird in my opinion. I can recommend them for gaming, but as an only pair of headphones with a big use for music – a big no! These German-make are the best analytical sounding mid-fi headphones I have come across. They sound a bit wider than the HD600, with a slightly tighter bass but much more mid-treble and having a drier midrange. I have never appreciated them much for pure music- listening sessions. The Hifiman HE-400i sound very good and are to this day one of the rare mid-fi offerings that I have really liked sound-wise. They have a much better bass quality than the HD600. They have more treble energy and a slightly less present midrange, but without any odd peak or dips as far as I’ve heard. The X2 are much different from the rest; they have a rather fun profile with a strong bass and quite a bit of energy in the treble. The midrange feels distant and recessed, and they have a wide image. They are actually a good complement to the HD600. The HD650 sound similar to the HD600, except a bigger boost in the mid / upper-bass and less energy above 2 kHz. The treble is rolled off so people looking for sparkle and air would be a bit disappointed. They are simply a warmer variant of the HD600 with a superb, smooth, and romantic tone. The Sennheiser HD600 is still, to this day, the best sounding all-rounder headphones I have tried under $300. They have a neutral sound profile, without being too analytical. They are extremely comfortable, easy to repair and maintain, and not so hard to drive.